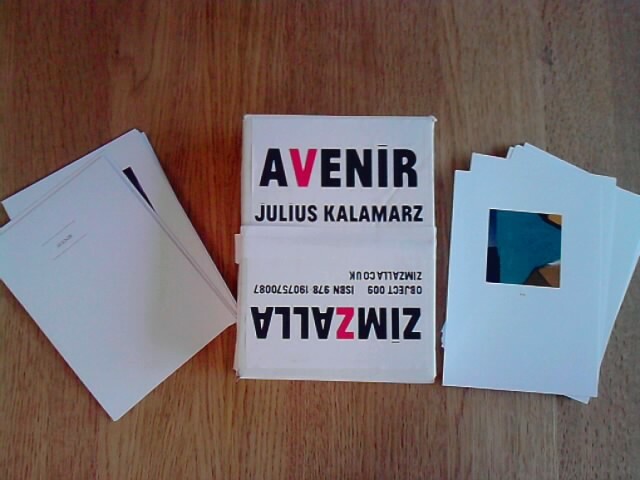 Julius Kalamarz – AVENIR. 24 boxed postcards. Please email mail@zimzalla.co.uk for details. Click here to view a sample. This object has an adjunct. Julius Kalamarz received his MFA from Columbia University. His work has appeared or is forthcoming inOpium Magazine, Juked, Word For/Word, Counterexample Poetics, The Los Angeles Review, Ninth Letterand others.